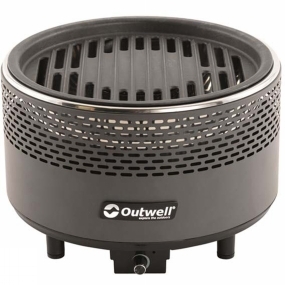 The Calvi Smokeless Grill from Outwell is ideal for all kinds of adventures in all kinds of weather. It is battery powered to make it easy and simple to use and comes with a cast iron grill for cooking. You get a nice even cooking surface without any of the nasty smoke that comes with traditional charcoal BBQs. It offers a little slice of luxury that you can take wherever you go.